University of Miami Political Science Professor June Teufel Dreyer was recently elected President of the American Association for Chinese Studies (AACS), which was founded sixty years ago to build bridges between eastern and western scholars whose main research interests revolve around Chinese studies. Dreyer is only the second woman in the association’s history to be named its president. “As president, I would like to do as well as my predecessors have, because they all have done a great job,” said Dreyer. Past presidents have included John Hsieh, Hans Stockton, Vincent Wang, and Shelley Rigger, among others to whom she gave notable mention. Dreyer, who two years ago was elected vice president, far exceeded her own expectations with a nomination for her current position as president, which received extensive member support. During the earlier post, Dreyer was pleased to oversee some of the association’s long-term goals and commitments. Dreyer highlighted the importance of the AACS as an organization that provides a platform for its members to fulfill their professional obligations, particularly in the area of interdisciplinary research that advances knowledge about China’s economic, political, legal, and social systems. As president, some of Dreyer’s responsibilities include recruitment of panelists and guests for major conferences, as well as overseeing peer review for submissions to its prestigious journal, The American Journal of Chinese Studies. For its upcoming conference in Seattle, the AACS has received a prestigious grant that will host international experts in commemoration of the 100th anniversary of the May 4th movement, as well as the 30th anniversary of the protests at Tiananmen Square and elsewhere throughout China. 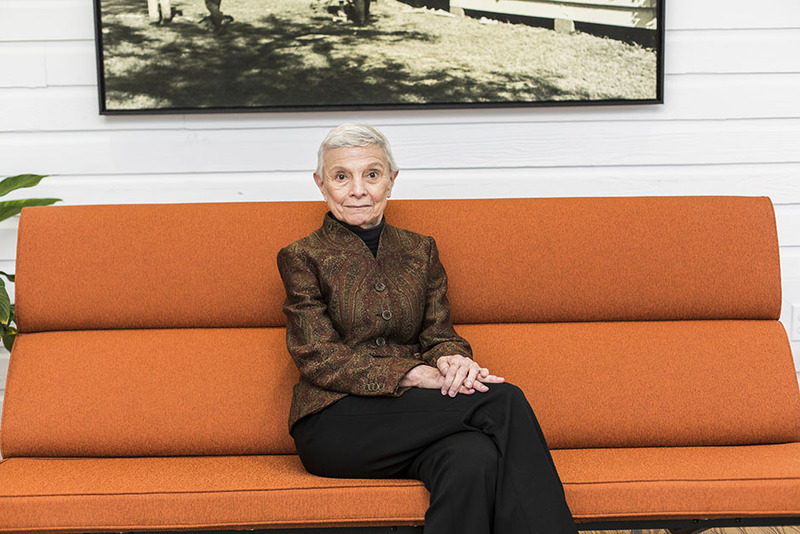 Dreyer will continue her predecessors’ efforts to increase membership in the association and to encourage graduate students to participate as a springboard for their academic and professional pursuits, as well as a chance to network with each other and with senior scholars in their fields. “We want to continue having excellent meetings with high quality papers and good discussion,” said Dreyer, who has been a member of the AACS since 1981. Dreyer, who has traveled extensively around Asia, has held numerous prestigious governmental and academic appointments and consultations in the area of Chinese and American foreign policy. She has also been the recipient of numerous fellowships and awards because of her wealth of experience over several decades. She is also the author of several books, including her most recent book titled, Middle Kingdom and Empire of the Rising Sun: Sino-Japanese Relations Past and Present. She has also written China's Forty Millions: Minority Nationalities and National Integration in the People's Republic of China and China's Political System: Modernization and Tradition, the former recently seeing it’s 10th edition.